The magic of Christmas for many of us is the anticipation. Meandering around markets – mulled wine in hand – weeks before the big day, and watching the Gavin & Stacey Christmas Special for the umpteenth time as far back as November… it all adds to the excitement. Advent calendars are a really big part of this Christmas build-up. But when were they invented? And what different types are there? Turn the page to learn all about the history of the countdown to Christmas, and be inspired to make your own. Getting an Advent calendar as a kid is absolutely thrilling. And, surprisingly, it isn’t all about the prospect of confectionery – there’s just something wonderful about hunting for the date and peeling back a little numbered door. These days, you get Advent calendars in all shapes and guises. From beauty and make-up sensations to gin-a-day designs – don’t mind if we do! – there’s a calendar for every like and hobby. So, there’s never been a better time for us creative souls to take some inspiration and see how we can give one a papercraft-y spin. The tradition dates back to the mid-19th century, when German Protestants would mark doors with chalk or lit candles to count the days leading up to Christmas, typically from the 1st to the 24th. This was a departure from the original meaning of Advent, the four-week period beginning on the Sunday nearest the feast day of St. Andrew the Apostle (30th November) which has been celebrated since the fourth century. Fast forward to the Second World War and the Franz Eher Verlag publishing house – under the control of the Nazi regime – printed Advent calendars, changing the name to ‘Pre-Christmas calendar’ and replacing the religious content with ‘new’ symbolism and ideological content. Thankfully, the calendar returned to its former glory after the war, no doubt thanks to Dwight D. Eisenhower. During his presidency, he was photographed opening one with his grandchildren and the photo ran in several national newspapers. Unsurprisingly, it tugged at the world’s heartstrings. 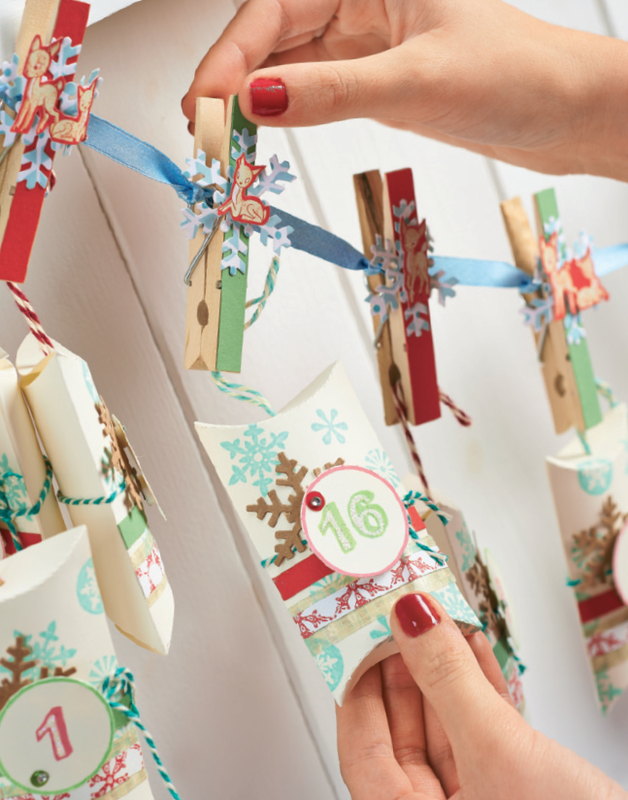 Keep the tradition alive and make your own Advent calendar this year. It could be for children, your partner or a friend; the choice is yours! 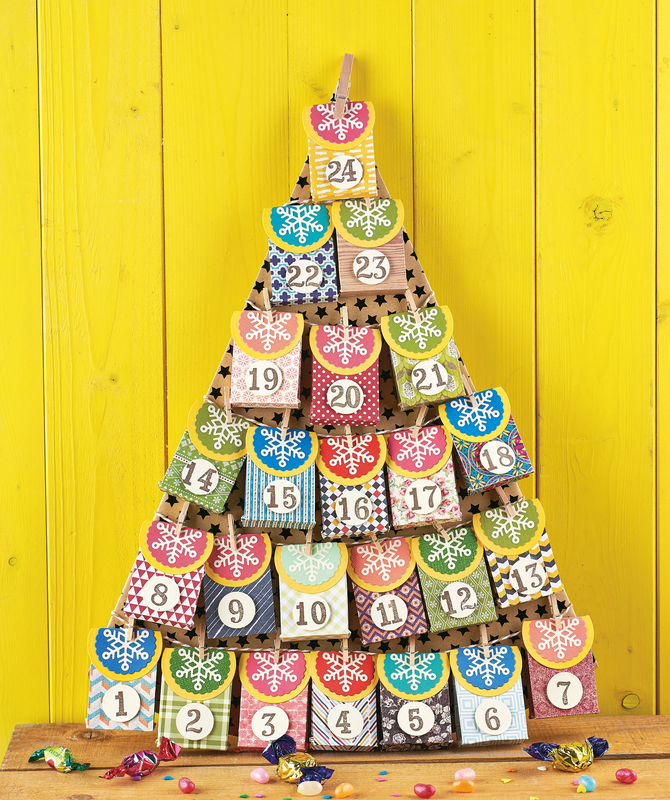 Don’t feel that you have to make one that looks like the traditional Advent calendar we all know and love. If anything, it’s better to be creative and come up with what works for you. Envelopes are the easiest place to start. Whether you create your own or use pre-made envelopes, simply decorate the fronts and place a sweetie inside – a Christmas joke wouldn’t go amiss either. You can then string them up with baker’s twine and pegs, or even nestle them together in a seasonal hamper along with festive foliage for a statement in your home. 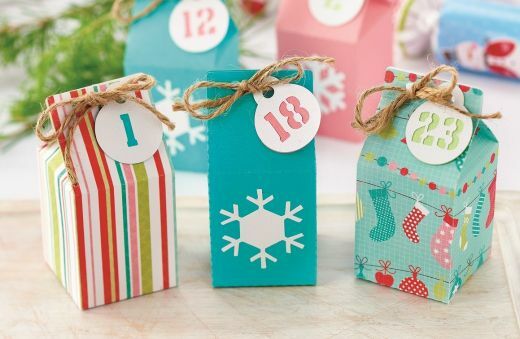 We’ve got lovely Advent calendar projects to get you started too. There’s a gift box extravaganza, cleverly arranged to look like a Christmas tree, as well as an adorable mitten-shaped set that looks darling resting above a fireplace. There’s something rather lovely about a mismatched design, because who says an Advent calendar has to be uniform in style? Use oddments from around the house to create pouches and boxes for your Christmas surprises, such as matchboxes or little takeaway containers. A really popular choice is to make an assortment of houses, the result being a wondrous wintry village that really tells a story. How you number your Advent calendar is paramount. 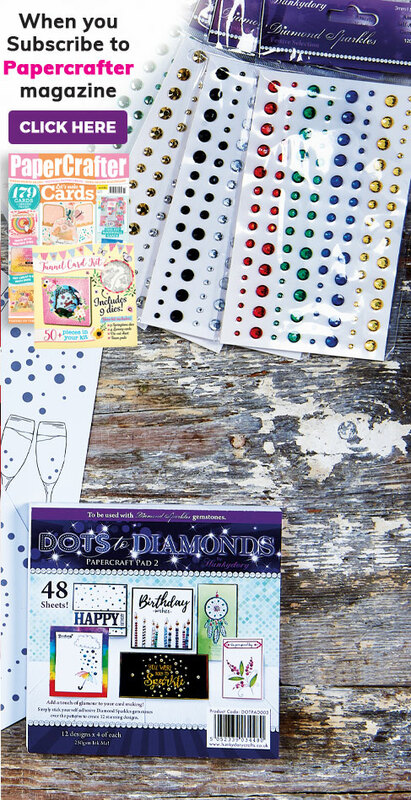 The digits need to be clear and eye-catching and, as papercrafters, you have a wealth of options at your fingertips. 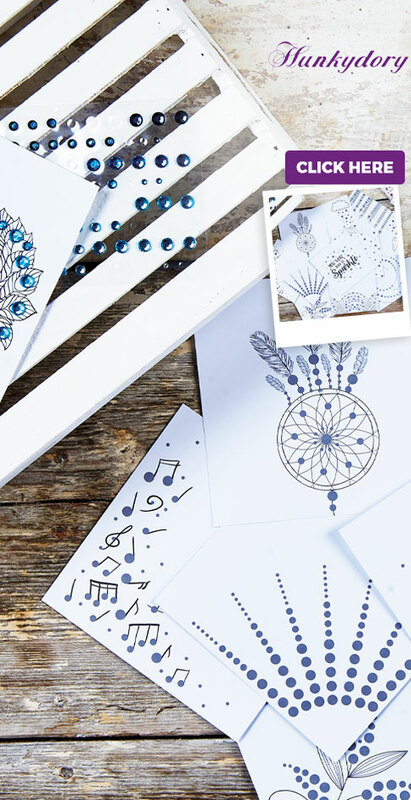 Stamp them in bold shades, die cut them from striking patterned paper or opt for a spot of calligraphy if you’re a dab-hand with a brush pen. Consider yourself computer-savvy? There’s nothing to say you can’t play about with fonts and graphics digitally. Once the designs are printed, you could always punch or die cut the numbers so you still achieve a professional finish. No matter your method or chosen aesthetic, there’s no denying the pure joy your Advent calendar will bring to loved ones. What are you waiting for? Let the countdown begin! P.S. 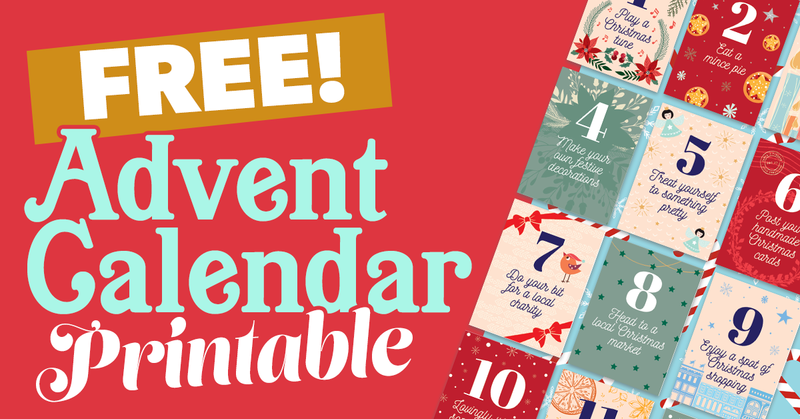 We’ve designed a fun Advent calendar printable for you to download and print off. 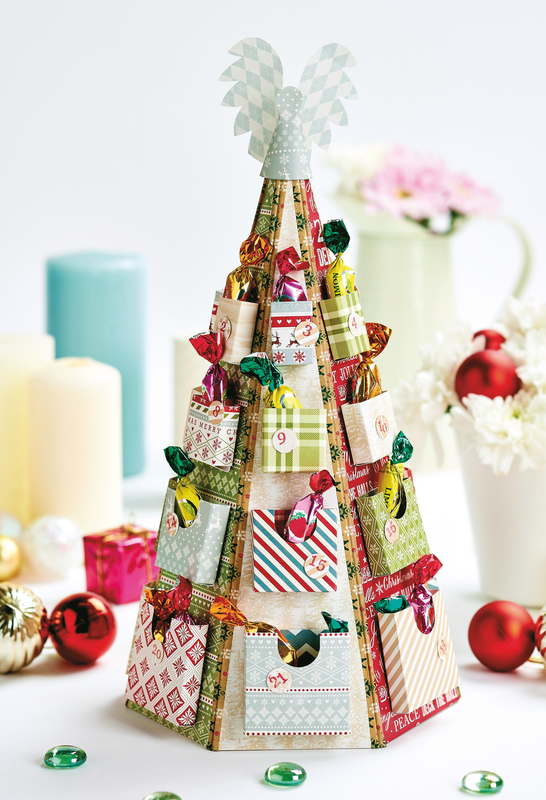 Featuring a selection of festive prompts, it’s another fun way to count down to Christmas.